Despite being of critical importance to every business owner, a fair amount of confusion exists around exit plans and exit planning. Often the term exit plan is used synonymously with exit strategy. While the two work in conjunction to achieve the same goal, they are distinct from one another. Even more concerning is the confusion between exit plans and succession plans, which serve different purposes and benefit different parties. We believe business owners deserve to exit happily. After all, what is the purpose of working as hard as you do if you never manage to reach your business and personal goals at exit? Exit impacts nearly every area of a business owner’s life. Failing to exit happily one day could ruin a lifetime of dedicated work and sacrifice. Therefore, it helps to know the most common reasons why owners fall short of exit happiness. Let’s call these the Happiness Killers, and these are the 13 Happiness Killers you should know about. 1. Failing to reach financial freedom. It’s not enough to exit the company and sell for a good price or maximize value. The more important question is, are you financially free after exit? If you exit but come up short of financial freedom, you may find yourself regretting having exited at all. 2. Getting too little cash at closing. It’s natural to fixate on the total price you expect to receive when selling the company. However, just as important as total price is how much cash you get at closing. Any dollars that you do not receive at closing are dollars you might never see. If you never receive those dollars, you could end up exiting unhappily. 3. Working with (or for) people you don’t like or respect. Many owners keep working after exit with (or for) the company’s new owners/leaders. If you later learn that you do not like or respect these people, you may find yourself deeply unhappy. This is especially true if you did not reach financial freedom (see #1) and therefore cannot afford to just walk away from the situation. 4. Doing something that you don’t love. It does not matter how much money you have in the bank if you wake up every day facing doing something that you do not enjoy. As with the previous Happiness Killer, this can undermine your personal happiness regardless of how financially successful your exit may be. 5. Not knowing what you are going to do in life after exit. After exit, most owners search for something to do that provides the stimulating challenges and sense of identity that they enjoyed from running their companies. If you never find this, you may struggle to be happy after exit. 6. Feeling like your top people were mistreated. Your business’s value is undoubtedly rooted in its people. You likely will not be happy if your exit causes your people to unfairly lose their jobs or if it strands former employees in an inferior work environment. 7. Feeling like your customers are getting less value. An exit that significantly diminishes the quality of goods or services you had been providing customers is not a happy exit. 8. The exit breaks up relations between business partners. If you have business partners, you will probably care deeply about how they fare during your exit – and theirs. There are many ways that one partner’s exit can undermine another partner’s goals or plans. Partners who lack alignment regarding these issues often end up exiting unhappily. 9. Leaving before you wish to. Leaving your company before you want or intend is a Happiness Killer. You will likely feel as though somebody ripped your company away from you. 10. Sticking around longer than you want to. The opposite side of this issue is having to stay with the company any longer than you prefer after your exit. If you have other things you’d rather do and pursue, then being forced to stick around with the company will not be a happy exit. 11. Exit causing stress at home/in marriage. 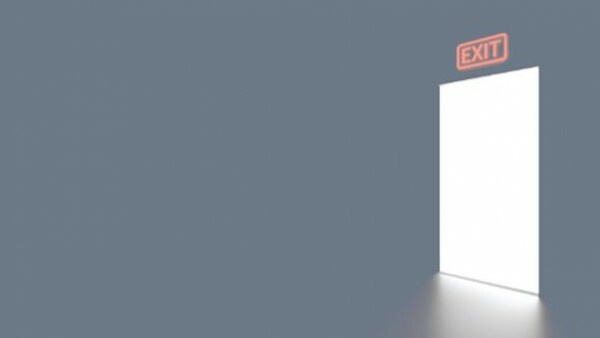 Exit brings massive change in an owner’s personal life and relationships, especially with your spouse or significant other. Many couples are caught off guard and find themselves disoriented in the post-exit world. Left unchecked, this can lead to regret and unhappiness. 12. Not leaving the company in good hands. If you exit the business only to realize later that the company’s new leaders are not competent to run the company and/or not equally committed to its success as you were, you may find yourself unhappy long after your exit. 13. Paying more taxes than you could have. Your exit will probably be the most expensive transaction in your life, with taxes comprising the largest line item costs in most situations. An excessive tax bill can undermine not only your nest egg but also your sense of fairness and satisfaction. With so many exit Happiness Killers out there, it’s prudent and wise to evaluate which of these potential threats you have adequately addressed and which may still be in your future. Ask us how to do this. You are working too hard and have made too many sacrifices not to be sure that you are on the path to future exit happiness. Schedule a 45-minute consultation to see how you can achieve a financially rewarding exit. Contact Tim for a complimentary consultation: 772-221-4499 or email. The IRS has recently proposed new regulations to resolve one of the lingering questions raised by the sweeping Tax Cuts and Jobs Act (TCJA), signed into law slightly more than a year ago. Like many extensive tax legislative packages, TCJA created a few questions along the way, leaving it to the IRS and other agencies to interpret and clarify the laws where needed. One of those questions was, “How would gifts and estates be taxed after 2026 for taxpayers who have taken advantage of the temporarily increased gift limits under TCJA?” Here’s the issue. Before TCJA, U.S. taxpayers could gift about $5 million of assets ($10 million for married couples filing jointly) before potentially triggering gift or estate taxes. Under TCJA, this amount doubled, allowing taxpayers to gift about $10 million of assets (about $20 million for married couples filing jointly). Gifting more assets without triggering a tax is better — especially if you contemplate transferring some or all of your business to your children as part of your exit planning. Under the TCJA, however, this ability to gift twice as much without triggering taxes will expire (or “sunset”) in 2026. This sunset raises a big question — what happens to taxpayers who take advantage of the new and higher gift limits before the end of 2025 but then die in the year 2026 or later when the limits are lower again? Would these taxpayers or their heirs have to pay additional taxes under the restored lower limits in what is colloquially known as a “clawback”? Experts have been debating this question since TCJA was passed. How Does TCJA Impact Exit Planning? Here’s an example of why this question impacts exit planning. Assume a married couple named Oliver and Orphelia Owner gift their company, ABC Co., to their son. The company is worth $20 million. Under the higher gift limits now available courtesy of TCJA, it is likely that no gift taxes would be owed. Now assume Oliver and Orphelia die in 2026 or later when the higher gift limits have fallen back to only $5 million per person ($10 million for married couples). At their death, Oliver and Orphelia’s estate and heirs could face taxes on the amount they gifted in excess of $10 million under this clawback approach. The risk of a clawback complicates exit planning for business owners, especially within family businesses. Therefore, the IRS had to take action. The IRS’s proposed solution involves creating a “use-it-or-lose-it” approach, where taxpayers are not at risk of a clawback in 2026 and beyond but must take advantage of the higher gift limits before they expire in 2026. The IRS’s proposed regulations are being reviewed and should be finalized shortly. If implemented as proposed, this development reduces uncertainty for business owners and creates a need to act to avoid missing out on a tax-saving opportunity. Many family business owners hesitate to transfer ownership to their next generation for fear of losing control of the company or out of a need to preserve the income stream they enjoy from the company. However, it is possible to make large tax-free gifts of your company without surrendering control or cutting into your income. Ask us how to do this. Any opportunity to implement business exit plans at potentially lower tax rates is good news. But, if the IRS’s proposed regulations are enacted, business owners cannot afford to miss this opportunity as it will expire. It is important to review these issues with your tax and legal advisors to determine the best course of action for you. Want to know how this applies to you? Webster’s Dictionary defines a “partnerectomy” as “the procedure to remove a diseased or failing business co-owner.” Well, OK, that’s not true — it is a word that we made up. But sometimes partnerectomies are required, regardless of the fact that the word itself is not officially recognized. Here are the symptoms to watch for to determine if you have a business partner who needs to go. According to our proprietary research, about seven out of 10 U.S. companies have more than one owner. These partnerships feature two or more leaders coming together with the shared goal of growing the company. Their combined effort and often complementary skills fuel the company’s growth and success. That’s the positive version of the story — and it is often true, especially in the beginning. However, sometimes business partners realize they may not be exactly on the same page on multiple issues. Sometimes it’s possible to reconcile their differences and resume a productive relationship. Other times, the necessary and perhaps only course of action is to remove the partner in question. In other words, the company needs a partnerectomy. Some partnerectomies are more difficult than others. Some are painful, angry, risky, expensive, and cause lasting scar tissue. Others are more controlled, safer, less emotional, and leave the organization much stronger than it was before the procedure. Either way, before resorting to this invasive and irrevocable course of action, business co-owners should exhaust every effort and resource to find another resolution to their core differences. You and your partner(s) disagree about where to take the company and how to get there. One or more partner(s) want to take all of the company profits home while one or more partner(s) want to reinvest all of the profits back into the company for growth. You believe that there are important topics that you cannot discuss with your partner(s) for fear of damaging the relationship. Deep down, you are not sure that can trust your business partner(s). Deep down, if you could turn back the clock you would not enter into a partnership with that person(s) again. Deep down, you believe that if that partner(s) were to leave the company, then employees, customers, suppliers, or other third parties would be relieved. You and your partner(s) have very different timelines for when each wants to exit from the company. You and your partner(s) have very different opinions about your company’s value. You and your partner(s) have not signed a buy-sell agreement. Ask us more about this. Your employees clearly prefer or are aligned with one partner or another, such that divisive factions exist in your organization. Members of your leadership team are unclear what a particular partner actually does inside the company. You believe that if that partner(s) departed from the company tomorrow, the company would not experience any setback or difficulties. You find yourself frequently having to do any of the following for another partner(s): “cover for” him or her, do “damage control,” or “take precautionary steps” to ensure that the other partner does not cause the company problems, intentionally or not. Your partner(s) has ongoing personal habits or issues that create serious risk for the business. You and your partner(s) do not have current, written, mutually agreed-upon job descriptions. You and your partner(s) are working at different commitment and energy levels but take home the same pay. You and your partner(s) are doing different jobs inside the company but take home the same pay. Ask us more about this. It is worth noting that some of these symptoms set off obvious and immediate alarm bells (such as #4 – you might not trust your partner) whereas others seem trivial or harmless (#15 – you do not have written job descriptions). Yet, as the word symptom implies, each of these items may be a surface manifestation of a deeper root issue that, if left unaddressed, can lead to real catastrophe. If you are experiencing any of these symptoms, just like any true medical issue it is advisable to discuss your situation with a knowledgeable advisor, and if necessary, do “more tests.” It is possible that further analysis of the symptom will turn up nothing or might reveal a minor and readily treatable condition. It is also possible that further analysis reveals an issue serious enough to cause real harm to the company, in the present and/or in the future, if left unchecked. A partnership can be a company’s greatest strength or its most crippling weakness. If you are experiencing any of these symptoms, act sooner rather than later. To learn more, consider this article or contact us to confidentially discuss your situation. How Much Is Your Company Worth According to Your Buy-Sell Agreement? Here’s the story of how one business owner’s buy-sell agreement understated his company’s value by a factor of 10, and what you need to know for your own business value and exit planning. We recently spoke with the majority owner of a professional services firm who has several minority partners. All of them have signed a buy-sell agreement1, which is typically a good and advisable way to mitigate risk. The majority owner contacted us because he was suspicious that their agreement was drastically understating the value of his company, and as a result his minority partners were expecting to one day purchase his majority interest at a drastically lower price. He was right to be suspicious. His company’s buy-sell agreement stipulated a formula of 2.5x book value to determine the overall value for the company. The problem was that for a professional services firm, book value is next to meaningless. Book value is commonly understood to mean the net value of the company if you simply sell off all the assets and pay off all the debts. Book value therefore ignores the potential value of the company as an ongoing enterprise, including its goodwill. While book value can be an important factor in asset-heavy industries such as manufacturing and distribution, it usually has little relevance in service-oriented companies. Rather, this owner’s company would ideally be valued based on a multiple of its profits (or revenue in certain circumstances). Because we have worked with other clients in the same industry, we knew the relative value of his company if he sold to an outside buyer in the open market. That number was about 10 times greater than what his buy-sell agreement stipulated. Needless to say, this majority owner had no intention of selling his company to his two minority partners for a 90% discount, which is exactly what the agreement stated would happen. The gap between this owner’s market-based business value and what his buy-sell agreement called for was pretty dramatic. However, his situation is common. Many owners are unaware of what their company is worth — according to their own legally-binding buy-sell agreements. Why Do Such Disparities Happen? Too often, what the buy-sell says is considerably different than what the company could be worth to an outside buyer, creating the potential for serious problems should the agreement ever be invoked. This disparity happens for several reasons. First, market conditions change. The value or valuation method used when the buy-sell agreement was written may be considerably different than a value based on current market conditions. Even if a formula was used, presumably to allow for some change and flexibility, that formula may be out of date. At the speed with which markets change, it can only take a year or two at most for the buy-sell agreement valuation to become a problem. Second, businesses change rapidly, too. Where your business was and what your business looked like when the buy-sell agreement was written might be materially different from what the company looks like today. Needs and objectives change with time as well. That’s what happened to this particular business owner. At the time the buy-sell agreement was written, he was trying to get several key employees to buy into the company at an affordable price, thus his advisors wrote a discounted price into the legal document. That may have made sense at the time, but since then his company had dramatically increased in both size and value, making the 2.5x book value approach not only obsolete but even harmful. Review the agreement no less than annually. Do not let it grow stale. Be flexible. Your buy-sell agreement does not have to apply the same valuation methods to all situations. For example, if you want to sell a portion of your company to a key employee at a lower price, you likely can do so without hard-coding this lower price into every circumstance addressed in the agreement.Also, your buy-sell agreement can apply different valuations to different events. For example, if a minority owner dies, the buy-sell agreement might call for a buy-out of that person’s interest at full price, but if a minority owner is fired for reasonable cause the same buy-sell agreement might apply a deeply penalized, discounted price when buying back those shares. For more help on this issue and dealing with business partners and co-owners, download our free ebook, Creating Co-Owner Exit Alignment. Or contact us if you have a quick question about your buy-sell agreement. 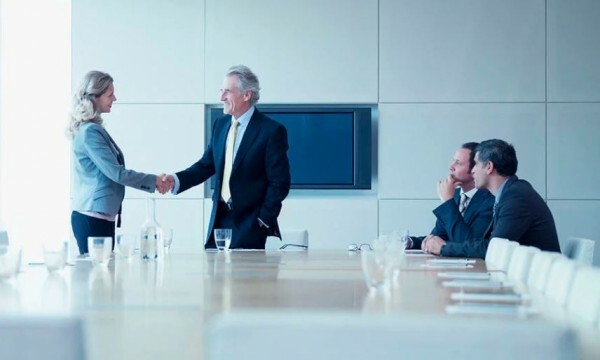 1 Also called a shareholder agreement, a buy-sell agreement is a legal document that usually has provisions that predetermine how certain ownership-related situations will be handled, such as the buyout of one or more owners due to death, disability, or other separation from the company. In many situations the buy-sell agreement is a standalone document. 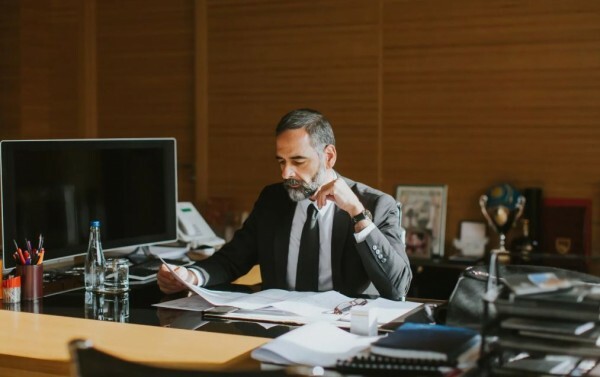 However, sometimes the buy-sell provisions are embedded in another legal document, such as the operating agreement in the company if it is an LLC. IQ- Intelligence Quotient- is defined by Webster’s Dictionary as a number that measures apparent relative intelligence. 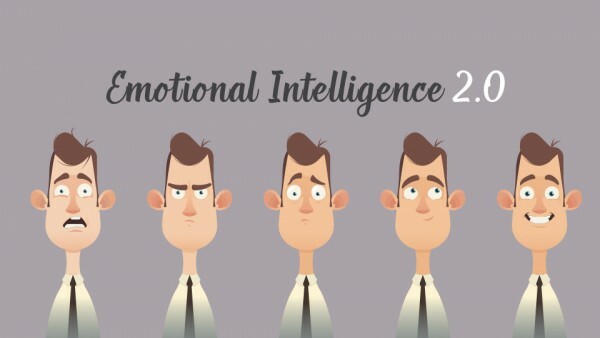 Described by Psychology Today, Emotional Intelligence refers to the ability to identify and manage one’s own emotions, as well as the emotions of others. Both IQ and EQ influence success in relationships, health and overall happiness. Read about the four building blocks of emotional intelligence in this Readitfor.me review of Travis Bradberry & Jean Greaves’s Emotional Intelligence 2.0 . Periodically, I share a favorite book review from Readitfor.me. 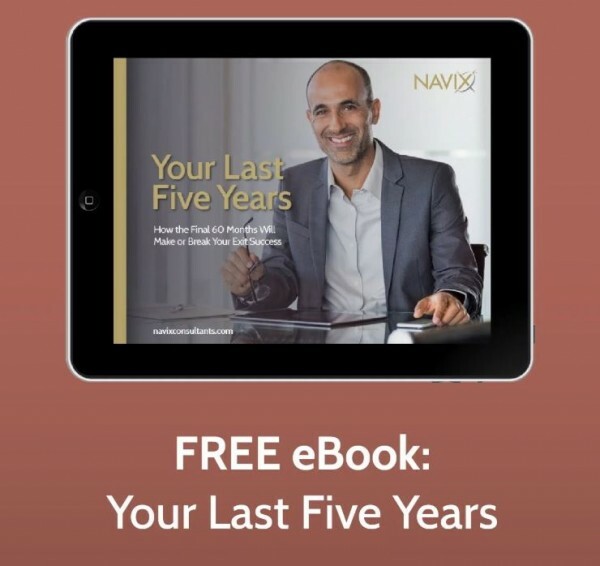 There is never enough time to read all the latest books – this tool is a great way to learn and to stay on top of the latest topics and new ideas. Check out this link: Readitfor.me. See how these tools can help build you personal and Team Strength. For hundreds of years, your worth to society was determined by how much physical labour you could do. Then, sometime in the last 100 years, the tide shifted and people started placing stock in your Intellectual capacity – your IQ. The more you knew and the better you were at taking exams largely determined the trajectory of your career. In fact, the education system is still set up under this paradigm. However, as the authors of Emotional Intelligence 2.0 would tell you, there’s a shift underway. As it turns out, there’s a completely different “intelligence” that has a large bearing on how successful you are in life – your emotional intelligence – or, EQ. In fact, emotional intelligence is the missing link to a peculiar finding. Consider that people with the highest IQs outperform those of us with average IQs 20% of the time – not surprising. But also consider that people with average IQs outperform those with high IQs a whopping 70% of the time. The greatest predictor of success, we now know, lies in our ability to harness our emotional intelligence. And if you aren’t with us yet, chew on this. People with a high level of emotional intelligence make a lot more money than those with low levels of emotional intelligence – $29,000 a year more, on average. So whether you are looking to increase your emotional intelligence, or even just looking for the secret to making an additional $29,000 a year, this is a topic for you. So buckle up, and get ready to learn the four building blocks of emotional intelligence – self awareness, self-management, social awareness, relationship management. Self awareness is the ability to understand your emotions as they are happening, and to understand your tendencies to react in certain ways in different situations. There’s no need to go and live in a Buddhist retreat for 21 years to find your self-awareness. In fact, just thinking about your emotions as they happen is a very good start and will help you along your journey. A person with high self-awareness is usually in control of their emotions. It’s not that they don’t feel emotions, but they don’t let them take over their lives. On the the flip side, a person with low self-awareness typically will take their own stress and project it on to other people. These are the type of people that if they are having a bad day, dammit, so is everybody else on this godforsaken planet. While these people might say that they don’t care how they are perceived, it’s quite likely that they just don’t know how they are perceived. Here are some strategies for increasing your self-awareness and getting to know yourself a little better. Notice your feelings and realize that they are not good or bad, they just “are”. For the most part, you won’t be able to control your feelings. If something terrible happens, you’ll feel some pretty nasty emotions. In fact, you are better off feeling them fully now, rather than burying them deep inside. However, the key is to not hold on to them – let them take their course and then let go of them. Lastly, realize that however you react to these emotions will have an impact on others. Understand how your buttons get pushed. We’ve all got pet peeves and people that just seem to rub us the wrong way. Being able to articulate these things is critical because then you can start to take actions to be in control of yourself in these situations. Keep a journal. Doing a review of your day and your emotions throughout is a great step towards self-awareness. You’ll start to see patterns in your thoughts, feelings and behaviours that are destructive. Once you see those patterns you’ll do anything you can to get rid of them. Don’t be fooled by your moods. Sometimes there are days when you are on cloud nine, and nothing could be going better. Other days you feel down in the dumps and nothing could be going worse. Of course, reality is usually somewhere in between those two extremes. So even though you hate your job, spouse, and that jerk who cut you off in traffic on those down days, remind yourself that things aren’t as bad as they seem and that the mood will pass – it always does. On the flip side, don’t get lulled into a false sense of security on the good days. Self management is highly dependent upon your self-awareness. It’s the ability to use your self-awareness to react in a positive or useful way in any circumstance. This is your ability to control your emotions around situations or people. If you are around somebody who is able to manage themselves at a high level, you’ll notice that they handle themselves extremely well under pressure. On the flip side, people who aren’t able to manage themselves at a high level lose their cool on a regular basis. Here are some strategies for increasing your self-management ability so you can keep your cool in any situation. Breathe, dammit! Your brain consumes a remarkable amount of oxygen – a full 20% of your body’s requirements – and it only gets what it needs to function on a high level if you are breathing properly. Although breathing deeply is good advice for any situation, it is doubly good in stressful situations because otherwise you’ll be restricting the flow of oxygen to your brain. Sleep on it. If you find yourself in a stressful situation and need to make a decision, sometimes the best thing you can do is put it off until the next day. When you are being controlled by stress, you are unlikely to make the best decision – whether this is at work or at home. So, prepare yourself to take extra time with stressful decisions. Get control of the voices in your head. We all have them. You know, the voices that tell you that you are an idiot for agreeing to the extra work on the long weekend. Or that you aren’t good enough for the job. When you find yourself in these situations, change the language in your head. If you’ve made a mistake – don’t generalize and say that you always make stupid mistakes. Remind yourself that you made a mistake this time, and it doesn’t mean that you’ll make it again tomorrow. Learn something valuable from everybody you encounter. We can all learn lessons from the people who inspire us and treat us well. But what about the people who don’t move us deeply, or worse, rub us the wrong way completely? If you can learn from those people, you will truly be working on another level. In almost any situation you find yourself in, you will learn a little more about yourself, and gain greater self-awareness in the process. Social awareness is the ability to read other people’s emotions and understand what’s going on with them. It’s the seeing what it’s like in the proverbial “other person’s shoes”. If you spend any time with socially aware people, you’ll notice that they talk less and observe more. They will dig deeper into what you are saying by asking you questions so that they understand you better. On the other hand, people with low social awareness seem to be waiting for you to stop talking so that they can show you how smart they are. In the process, they seem to miss the entire point of what you are saying. We’ve all been around people like that, and at times, have probably acted that way ourselves. Here are some strategies for increasing your social awareness so that you can connect better with others. Greet people by their name. This may seem far too simple to increase your social awareness, but you’ll be tapping into the universal need to be “acknowledged” for who you are. Your name is an essential part of your identity, and starting off each encounter by using the other person’s name will bring you closer to them immediately. Increase your cocktail party conversation skills. This might seem trite, but creating a connection with other people takes work. Planning ahead and remembering who will be at a party and what their children do after school (for instance), is all part of the game. In the process, you will find yourself actually caring about these things because most people respond in kind to this kind of behaviour. As it turns out, giving a damn about people is a pretty good strategy. Practice your listening skills. When others are talking, don’t just listen to the words coming out of their mouth. Watch their body language and listen to the tone and pace of their voice. If their words and body language don’t match, check in and see if you truly understand what they are thinking. Some people will tell you that they are “just fine” in spite of obvious evidence to the contrary. Checking in like this will bring your connection with your friends, colleagues and family to an entirely new level. Understand how others view you. This isn’t something that most people want to do, preferring to go through life believing that they don’t have any of the flaws that they see in other people. However, being socially aware is also about understanding how you impact others. So, check in with some friends and family to see how they are experiencing “you”. You’ll learn quite a bit about yourself, but also how you come off to others in a multitude of situations. This is invaluable information. Relationship management is sort of like “bringing it all home”. It’s understanding your emotions and the emotions of others to skillfully manage a relationship. People who do this well seem to manage many different relationships and seem to be close with all of them. They also make everybody they come into contact with feel at ease with them, even when delivering a stern message. People with low relationship management skills are constantly reacting to people and situations rather than responding to them. They make it very difficult for others to build a bond with them. Here are some strategies you can use to develop your relationship management skills. Do the “little things” on a consistent basis. If study after study (and your own personal experience) tell you that what people want more than anything is to be recognized, why do we do it so infrequently? Catch people doing good things as often as you can, and you’ll find yourself creating a stronger connection with people much quicker than you ever have. Don’t let you emotions drift into other situations. Have you ever been around somebody who gives you the cold shoulder out of the blue, even though you haven’t been around long enough to do anything wrong? These people are often still thinking about another event during the day that got under their skin, and have allowed it to have an impact on your relationship. Always deal with your emotions, and then be present with whoever or whatever requires your attention next. Take feedback well. Sometimes, even if you don’t ask for it, people will tell you what they think of you or your performance. How you deal with this situation will greatly impact the level of closeness in your relationship with this person. Take it with grace, and you’ll be letting the other person know that they can truly tell you anything and the relationship will continue to grow. React poorly to it, and you’ll be starting the process decline of that relationship. Explain your decisions, don’t just make them. If you want people to follow you and respect you, you need to explain why you make the decisions that you make. If you don’t, it’s inevitable that some people will think that you’ve missed a key issue and that you made the wrong decision. Then, the gossiping begins. On the other hand, if you take the time to explain how you came to your decision, people understand your thinking much more clearly, and then know what you did or didn’t consider. It also opens up a dialogue about the issue that is missing when all you give is the answers. Emotions and emotional intelligence used to be considered the “soft stuff”. Not only was it not welcome in the business world, it was often looked upon as a weakness. Markets were won and lost on the backs of high IQs and hard work. However, as the authors and many scientists have been able to show, emotional intelligence not only leads to better relationships, it leads to better business. And I can’t think of a better reason to get in tune with my emotions. If you are like my clients, you work hard learning how to grow your company or organization. You invest the time and money to improve your team for better results and increased value. The Readitfor.me tool has grown into a great resource for both personal and team growth, offering book summaries, micro courses and master classes. Check out this link for details Readitfor.me and see how this tool can you build your company for long term success. Call 772-210-4499 or email to set up a time to talk about tools and strategies to lead to better results. If we pause right there, the story might seem strange to many business owners. Only nine out of about 300 qualified buyers made an offer for this profitable, growing, and well-organized company. That’s 3%, which means 97% passed. 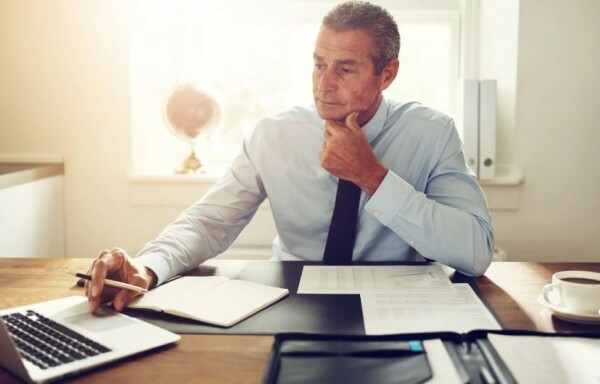 To many owners contemplating selling their company, to have so few potential buyers actually step up and make an offer seems surprising and more than slightly disappointing. Yet these numbers are quite typical. The vast majority of potential buyers at any point in time will not pursue buying your company if contacted because they don’t see a strong fit, are occupied with other acquisitions, are undergoing internal leadership changes, are conserving cash, or any number of other reasons. How does that happen? How can nine potential buyers, all of whom can do math, produce offers that range from a low of $5.9 million to a high of $32.5 million? Are some of them crazy or incompetent? Are the low offers unjustifiably low — or are the high offers dangerously excessive? Or both? What is going on here? This company had consistently strong earnings, was growing, and was well led. Why was there so much variation in the buyers’ perception of business value? Buyers are not crazy — usually. And these results are common. What your company is worth varies greatly from buyer to buyer because each buyer comes with a unique set of needs, challenges, strengths, opportunities, and priorities. These differences lead buyers to conclude widely different valuations when offering to purchase the company in question. For example, the two buyers with the highest initial offers ($20.8 million and $32.5 million) both had excellent distribution systems and saw a massive opportunity to take our client’s proprietary products into their existing markets, generating highly profitable growth through cross-selling. The remaining other potential buyers either did not see the same opportunity or were not in a position to capitalize on it. Out of the lowball offers, one potential buyer saw little value in our client’s company beyond its asset base. Another low offer came from a buyer that seemed internally disorganized and thus could not get its act together. The point here is that buyers are not nuts, they are just very different. Their differences often translate into different conclusions on your company’s value and subjective worth to them. There are several important takeaways for business owners expecting to sell their company at some point in the future. They are listed below, in no particular order, along with additional educational resources from us to help you learn more. 1. Very rarely does it pay to talk to just one buyer at a time because without any comparison, you cannot know if that one buyer is your best option or not. Unfortunately, many owners make this mistake. Buyers know this and try to lure owners into these one-way situations. Watch our webinar to learn more about this issue and to learn when you can safely talk to just one buyer. 2. You must be prepared to run a thorough sales process in order to find your best buyer. This webinar has several real case studies that demonstrate ways to find your “unicorn” buyer. 3. While buyers have different needs and priorities, most buyers agree that certain characteristics make a company more or less valuable. For example, a company that is growing and has a diversified customer base will generally be seen as more valuable than a similarly sized company in the same industry that is shrinking and has a narrower customer base. To learn about 25 factors that can drive company value, download this free tool. Ultimately, the sooner you start preparing for exit, the more time you’ll have to maximize value in your company and find your best buyer. Contact us to discuss your situation and learn how we have helped other business owners maximize their business value. High-performing employees are the most valuable asset in most companies. Customers, products, technology, inventory, and most other assets come and go. A company that cannot hold onto its best employees, however, likely cannot sustain growth and has a lower chance of survival. Yet ironically, too few companies have taken any formal steps to minimize the risk of losing top employees. Sure, you pay your best employees well and presumably have a great culture and work environment — but your competitors can often offer the same incentives. To truly hold onto your best people, consider tying them to your company with handcuffs made of gold. “Golden handcuffs” is a generic term describing a wide range of compensation plans that share one common purpose — incentivize top employees to stay with the company for the long to very long term. Reduce the risk that top employees leave prematurely (typically before retirement age) or unexpectedly. Most golden handcuffs plans accomplish this by creating a future compensation payout that is partially or totally forfeit if the employee should terminate employment prior to an agreed-upon date. Incent top employees to help create long-term, sustained company growth. The potential for a future compensation payout orients the employee towards achieving the company’s long-term business goals. Protect the company against the risk of losing customers, other employees, or trade secrets should a top employee leave. Golden handcuffs plans should include a legal agreement that commonly includes provisions such as non-compete, non-solicitation, and non-disclosure language wherever possible. Provide a way for business owners to create alignment with their non-owner top employees around creative business value prior to their exit. 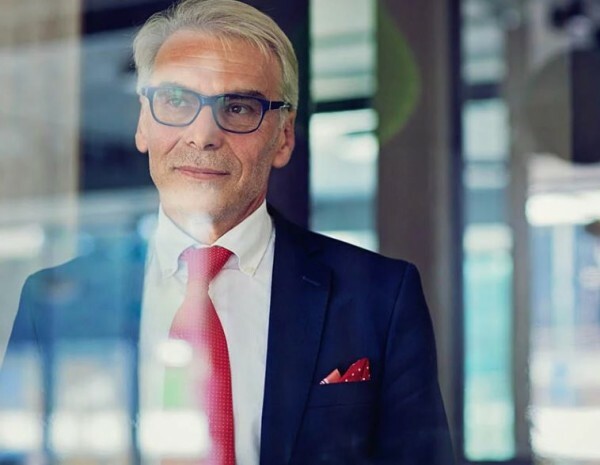 Many owners are understandably concerned about discussing their future exit plans with non-owner top employees, because the future exit (typically by selling the company) does not create wealth for them but does create career uncertainty. Golden handcuffs plans build a bridge between owner and non-owner top employees by providing that wealth creation opportunity while enhancing career stability. Enhance business value at company exit, particularly upon sale of the business. Your future business buyer will often see greater value in your company if golden handcuffs plans have been effectively implemented, as long as those plans include “stay bonus” features that reduce risk of top employees leaving during the transition phase after company sale. Thank top employees after extended periods of high performance. 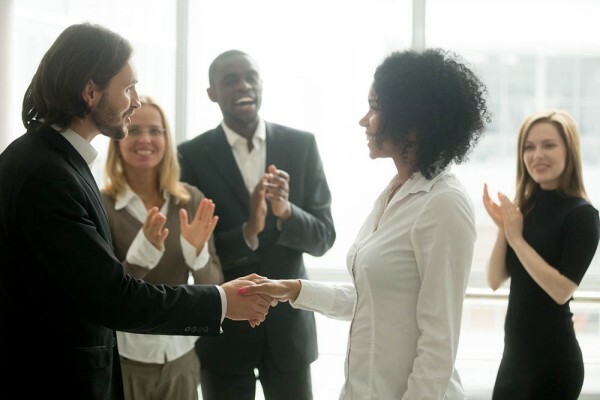 Most business owners want to thank high-performing employees after they have given many years of service to the organization. Golden handcuffs plans commonly are designed to do just this. Recruit top talent away from competitors. 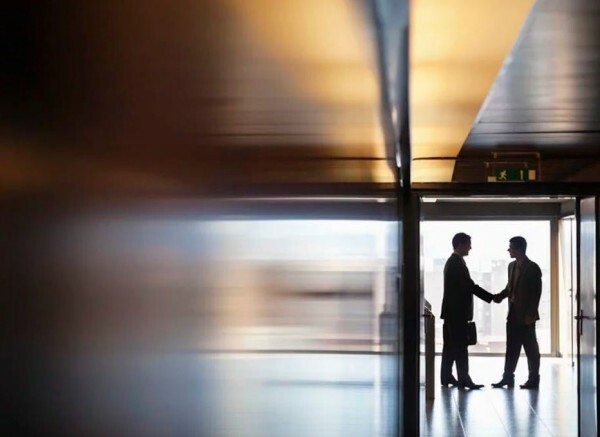 In some situations, a golden handcuffs plan offered to a top candidate — in addition to competitive pay and compelling career opportunities — can be the linchpin when convincing that person to join your organization. Offer an alternative to sharing ownership with top employees. Many business owners are unaware that golden handcuffs plans arguably create all of the benefits associated with sharing ownership with top employees without any of the numerous downsides and risks that come with sharing actual ownership. Protect the company against financial losses should a top employee die. While it may not be the primary reason to consider a golden handcuffs plan, some companies add life insurance on the top employee(s) to the plan. Should that employee then die, the life insurance benefits can be payable entirely to the company or shared with the deceased employee’s family to mitigate against any financial losses. Create an incentive for mid-tier employees (in terms of either role or performance) to advance in the company and become eligible for inclusion in the golden handcuffs plan that is in place for top-tier employees. There are too many types and variations of golden handcuffs plans to describe in this article. However, with a quick conversation, we can review the various plan types and identify a potential design for your situation. Also, watch our recent webinar on this same subject to learn about a simple golden handcuffs plan design that usually gets the job done and to view an example of how to discuss this subject with your employees. A recent technical change in the Small Business Administration’s (SBA) lending policies could make it easier to finance buying out a business partner. Prior to this change, borrowing money to buy out a partner through an SBA loan guarantee program could often be difficult or impossible. 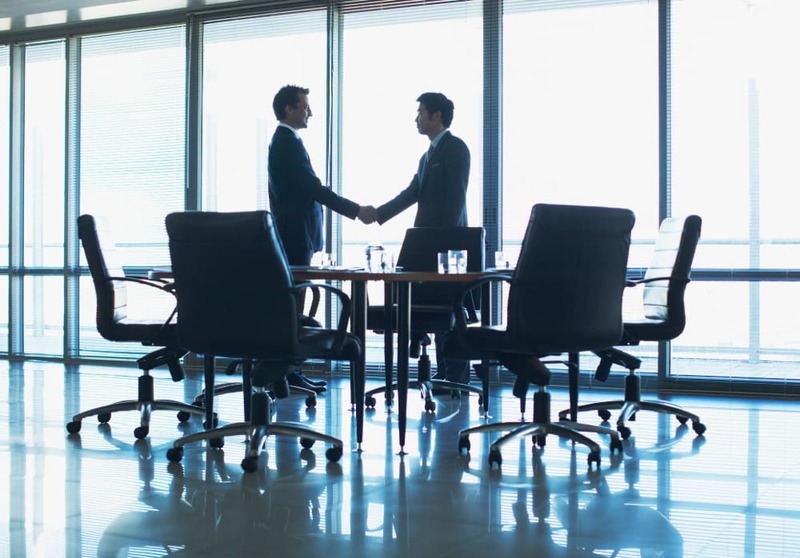 In the past, the fact that the partner buyout process left many businesses with negative equity made it extremely difficult to use SBA 7(a) loans for partner buyouts without needing to contribute a large amount of cash into the company. Keep in mind that the SBA does not actually make loans — it offers to guarantee a portion of loans made by lenders that qualify under its various programs. Under the SBA 7(a) program, the maximum permitted loan is $5 million, of which the SBA may guarantee up to 75%. Partial buyouts cannot be financed by SBA loans — the buyer is required to purchase 100% of the business. This requirement also applies if existing partner(s) are buying out other partner(s) of the business. The seller may not remain involved with the company as an owner, officer, director, or employee. If a transitional period is needed after the sale, the seller may serve as a paid consultant for up to 12 months, but not for longer. There are many other rules to consider — talk with your banking and financial advisors. What If the SBA Is Not for You? The selling owner(s) want(s) to keep some equity in the company, or stay involved in the company post-sale, such as serving on the board. You need to borrow more than the SBA 7(a) program maximum of $5 million. You are concerned about overloading the company with debt. You are concerned about personally guaranteeing the debt, which is usually required. 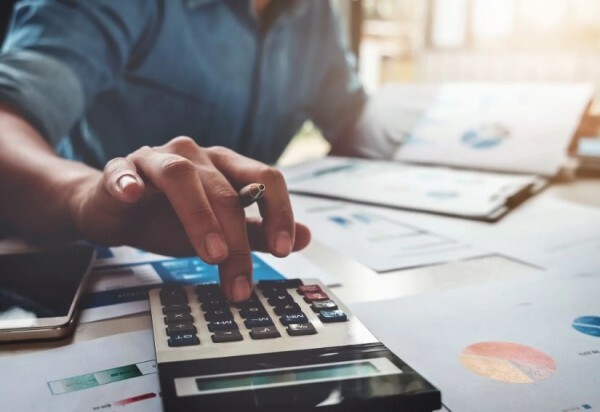 Many business owners are unaware of other methods to finance buying out a business partner, including bringing in non-controlling equity investors. It is important to carefully explore and weigh all of the options, and therefore work with advisors experienced in situations like yours.